Septic and sewer systems are probably not on your radar until they are. Unless you are buying a house, performing a home inspection, or repairing one of these two features of the house, you probably never even think about your sewer system, but without one of these two devices, your home probably wouldn't be in the 20th or 21st century. Taking a shower, flushing toilets, running your sinks all function based on either the sewer system or a septic system and they are different. sewer systems rely on the local government while septic systems rely on the homeowner. So, which is better when it comes to buying a house with one of the two situations? A sewer system usually requires no maintenance but you'll need to pay monthly fees for the system, usually to the city. You won't need to worry about septic system costs and repairs but sewer systems can be clogged and they may backup over time. However, you won't pay for any unclogging issues but fees may rise to cover the expenditures. Septic systems, on the other hand, is your own system and includes a tank, typically in the back or front yard that will hold about 1000 gallons of water. It's a three layer system that connects to the home and is usually an eco-friendly option. You won't need to pay any monthly fees to use a septic system but clogging of the system is your responsibility. If you flush items that simply cannot be flushed or have issues with the system itself, you are responsible for all the maintenance and repairs. Sewer betterment fees are sometimes imposed on homeowners, which can range up to $10,000 or more. These fees include installation and any repair and septic systems will need to be pumped every once in a while, which can cost up to $300. The tank itself can last up to 40 years with proper maintenance as long as it's concrete, while steel tanks last about 15 to 20 years. Septic system should be pumped and inspected about once every 3 to 5 years. Septic systems usually are designed for homes in remote areas that may not be hooked up to the city sewer system. Sewer systems can usually hold a large amount of waste at one time, which make them a better option for in city properties. The take away from that this post is that regardless of which direction you go, you make sure that it is properly inspected, up-to-date, and has been pumped prior to closing if you choose a septic system. Septic repair issues can cost hundreds if not tens of thousands of dollars so it really is wise to have it fully inspected before closing. 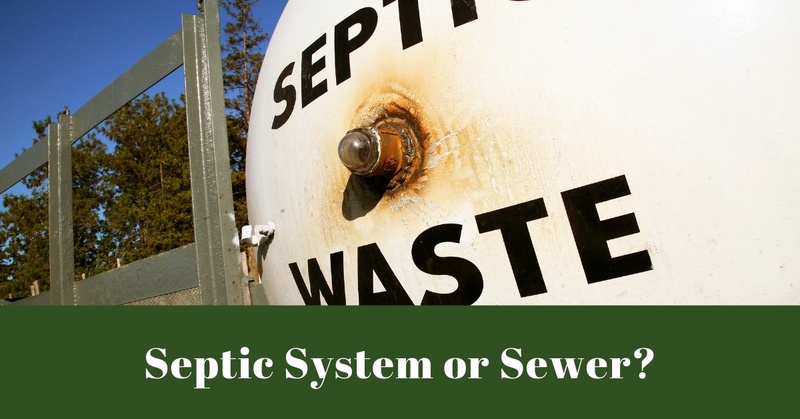 Have more questions on septic or sewer systems? Give me a call.